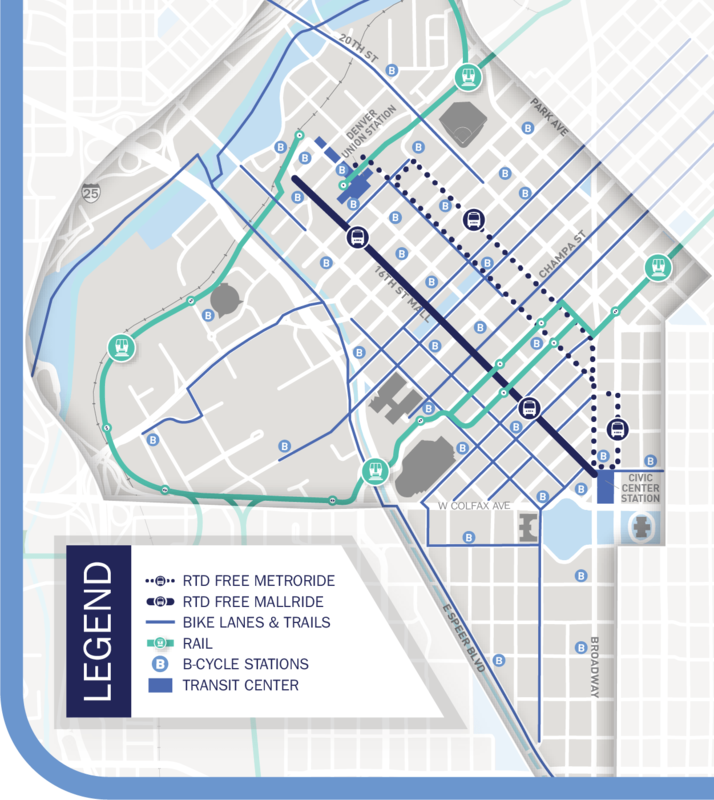 The Downtown Denver mobility system supports our workforce traveling to and through the center city. Again this year, more commuters are choosing to walk, ride a bike, and use transit than to drive alone. 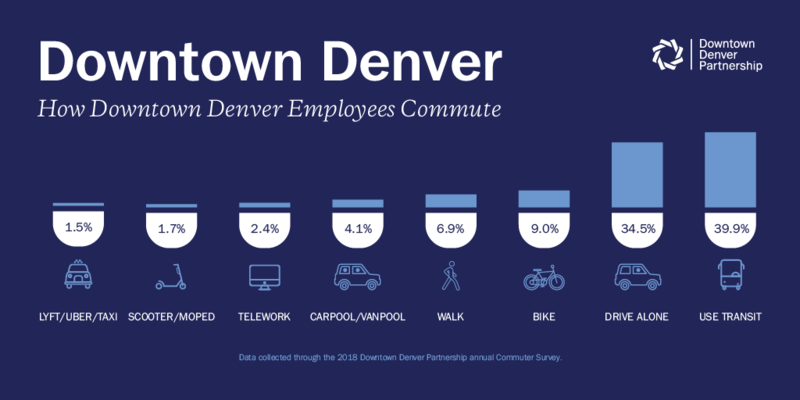 The results presented in this 12th annual Downtown Denver Commuter Survey confirm that a strong commitment to providing increased access to a variety of transportation options creates a system that moves more people safely, affordably, sustainably, and reinforces the advantage of a center city office location for employees and employers. 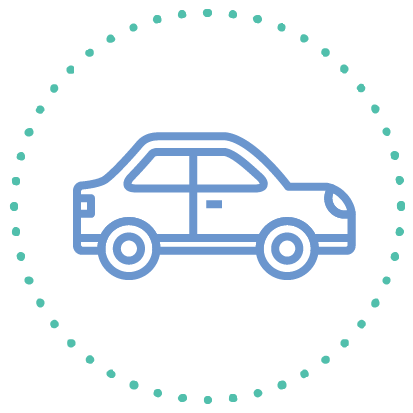 68% of employees are offered a subsidized transit pass and 32% are offered a subsidized parking space from their company. 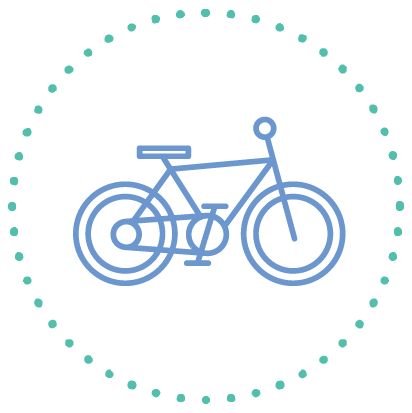 Secure bike parking encourages bike commuting; 62% of employees have access to secure bike parking through their employer. 68% of employees who receive transit passes fully paid for by their employers use transit in their commute to work. 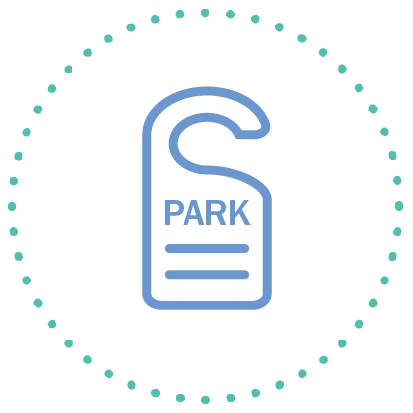 66% of employees who receive parking passes fully paid for by their employers drive to work alone. 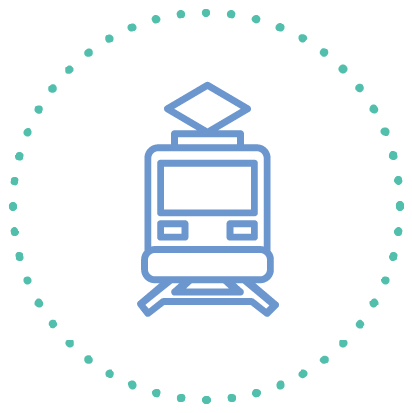 Be sure to take the 2019 Commuter Survey when it circulates this fall! More information will included on this page when the survey is live.